The timeless lineage of Avadhuta Siddhas of Kashi has been flowing like the Ganges of wisdom from time immemorial. 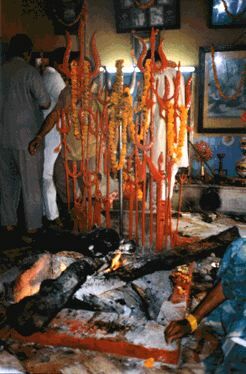 Kashi (Varanasi) is known as the City of Shiva. This lineage of the Avadhuta Siddhas of Kashi has emanated from Lord Shiva himself and has produced great saints. From the time of Aghor Bhairavacharya (5th-6th century), this lineage had continued in a sleepy state, as if embers under ashes. In the 16th century Baba Kinaram, after receiving darshan with Bhagwan Dattatreya in Girnar mountains, awakened it for the welfare of the humanity at large and embers hidden under the ashes began to glow again. In the presence of Baba Kinaram spontaneous relief was received by the suffering, answers to questions came automatically, and mind experienced calmness naturally. One would experience the higher Self merely by being in his presence. Baba Kinaram traveled far and wide in all the four corners of India and witnessing the suffering of people, engaged himself whole-heartedly in alleviating their suffering. In this lineage of Avadhuta Siddhas of North India, Baba Bhagwan Ramji emerged as an Aghoreshwar for our modern times. He was among us in his body until 1992. Heeding to the call of our time, Aghoreshwar Bhagwan Ramji gave a new turn to this safeguarded tradition of Siddhas and expanded its field of activity. He opened up and availed the teachings and practices of Avadhuta to the all-sincere seekers, renunciates and householder alike. Inspired by the teachings of Aghoreshwar, today there are over one hundred and fifty centers through out India and a few in other countries, actively engaged in the sadhana of service. 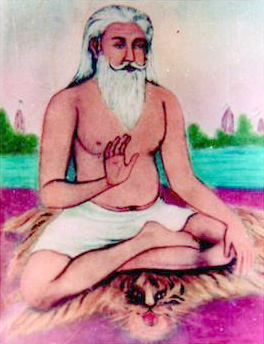 Baba Siddhartha Gautam Ram is the mahantha of Krim Kund, the Avadhuta seat of Varanasi today. Baba Priya darshi Ramji, Baba Gurupad Sambhav Ramji and Baba Siddhartha Gautam Ramji are elder disciple monks of Baba continuing his work in India. A handful of other young monks of Baba are also in India engaged in their sadhana of service. Baba Harihar Ramji has established two Ashram s, one in Sonoma, CA, USA, and a second in Varanasi, India (Bal Ashram). 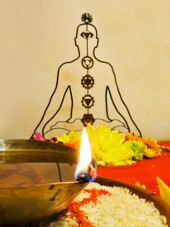 All the Ashrams are working in cooperation with each other to maintain the ancient tradition as well as to take a freshly motivated direction towards social services and the integration of the essence of the Avadhuta into the life of the community.